The U.S. Securities and Exchange Commission recently moved to delay their decision over yet another bitcoin exchange traded fund proposal. On September 24, 2018, MIT Connection Science and IBM issued a 41-page joint report on the results of three roundtable discussions on the role of Blockchain in government. Authored by MIT’s technical director at the MIT Internet Trust Consortium, which is part of MIT Connection Science, Thomas Hardjono, the findings illuminated discussions held by private and public sector leaders on the blockchain’s impact for government on digital identity, payments and supply chain/provenance.The report was released in consultation with the Congressional Blockchain Caucus. The report highlighted three repetitive themes that occurred throughout the roundtables, namely, the need for leadership and vision from the U.S. government, the need for collaboration between the industry and the government, and increased support for research and testbed deployments of blockchain technology. While the report seemingly puts the onus for this collaboration on the private sector, especially when it states that the “industry needs to demonstrate real production examples of blockchain deployment across various segments of the economy,” the report also shows widespread sentiment that the U.S. government has to be educated and a willing collaborator to help the industry grow and mature. The report details roundtable moderators analogizing the need for government support of research and testbed deployments of blockchain technology with the the hundreds of millions of dollars of government support through DARPA (the Defense Advanced Research Projects Agency) that were invested in the 1970s and 1980s in research into the IP Internet. Some notable private sector attendees to the roundtables on which these discussions were based: IBM, Intel, Microsoft (Decentralized Identity Foundation), Project Indy, Ripple, Joust Bank, Seagate, Risk Cooperative, Endor and Sweetbridge. 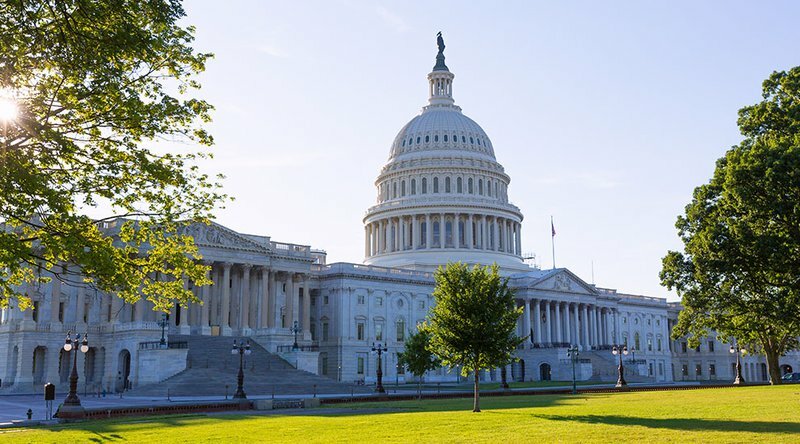 Public Sector attendees included NIST Applied Cyber Security Division, NIST Cryptographic Technology Group, U.S. Department of Health and Human Services and members of the Congressional Blockchain Caucus. Overstock.com CEO Patrick Byrne has acquired a stake in blockchain startup, Medici Land Governance (MLG). Byrne purchased a 43 percent stake in the blockchain land registry in a private transaction. Blockchain land registries have been getting a lot of traction around the world, as they promise a viable solution to the problem of fragmented paper records and unverifiable claims. Medici Land Governance, the blockchain-powered property rights subsidiary of Overstock, was founded in 2018 to help people legitimize the ownership of their properties using blockchain and other technologies. MLG is one of the portfolio companies under Medici Ventures — Overstock's blockchain tech accelerator wing — which includes other blockchain projects such as tZero and Factom. “Proper land governance is the crystallization of the rule of law and the foundation of a successful, prosperous and free society," Byrne noted in the announcement. In an interview with Bitcoin Magazine, Byrne said he believes secure land titling and property management systems have the potential to eliminate poverty across the world. “Once individuals in emerging economies have systems in place to help them establish formal ownership of their property, they can more easily access credit and public services necessary to become a true, sustainable member of the global economy," he said. “Blockchain land registry systems are a large step in the goal to democratize capital, and I’m proud to be a member of the team leading that charge." 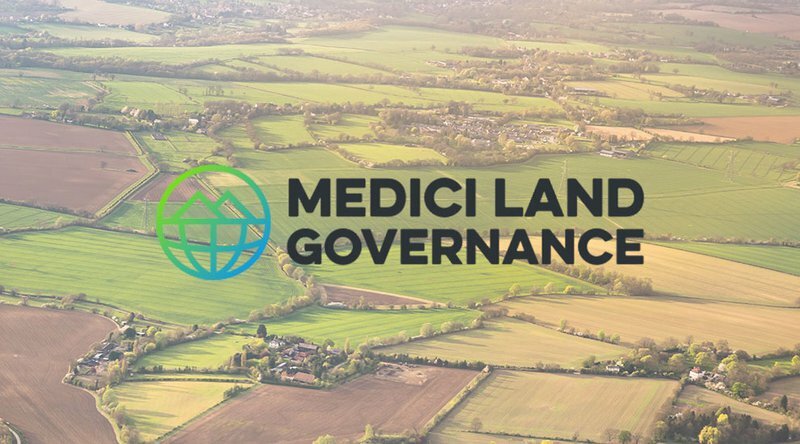 Medici Land Governance recently signed an MOU with the World Bank to create, implement and evaluate pilot programs that ensure secure land tenure for underdeveloped communities. The blockchain startup also inked a deal with the Zambian government to overhaul the current land ownership system in a bid to allow rural landowners to formalize the ownership of their estates and gain access to the financial world. It’s no secret that DApps have struggled to achieve adoption; in fact, according to stateofthedapps.com, the most popular DApp currently has just 1,811 daily active users (DAUs). In our opinion, the poor adoption rates of DApps can be attributed to the high adoption costs of using DApps, such as the time required to sign up, monetary cost or the fear of loss. These adoption costs are particularly high relative to the perceived value gained, especially when compared to Web 2.0 platforms that are designed with much lower adoption costs. Crypto Kitties (which is currently the third most popular DApp with 530 DAUs) is a perfect illustration of the high barrier to entry faced by users. Before users can start to build up their Kitty collection, they are required to have a desktop or laptop, own some Ether and have a Metamask account. Assuming a user has all three, they must also make sure that they don’t lose their password or seed words, as recovering these is simply not possible (a fear of loss that most users are not accustomed to). When comparing this signup process to that of Web 2.0 platforms, for the pragmatic user, these requirements are too cumbersome. 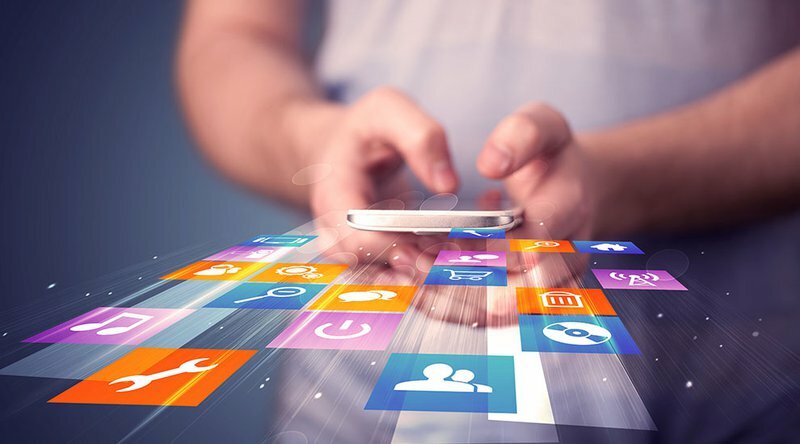 Web 2.0 apps have invested considerable effort in streamlining the time and mental effort required to interact with their platforms, with companies such as Apple taking a “two taps away” approach. And so, unsurprisingly, the user experience of Web 2.0 is still years ahead of current DApps. Such high adoption costs at the initial stages of an innovation are nothing new. History is littered with examples of innovative products, including mobile phones, computer and mobile operating systems and the internet, that initially were not accessible to the majority of users due to the complexity and costs of using them. However, as the technology improved and costs dropped, adoption grew. In his 1991 book Crossing the Chasm, Geoffrey Moore argued that the key to achieving breakthrough adoption for high-tech innovations was overcoming the “chasm” in order to reach the “early majority” (the pragmatists). He describes this chasm as the massive gap that lies between the early adopters (tech enthusiasts and visionaries) and the early majority, which exists when a new product has the potential to be highly disruptive and thus require behavioral changes. The question is, then, how can DApps successfully achieve this crossing? We believe that crossing the chasm will come with a DApp that is centralized, with decentralized functionality i.e. a hybrid, quasi-centralized approach. Now, before the pitchforks are raised, we first ask you to hear us out. A hybrid approach would allow the “early majority” to use DApps with the low barrier to entry that they are accustomed to with Web 2.0 apps. This low-friction approach would expose and inform the early majority of the value offered by Web 3.0 functionality and, in doing so, cross the chasm. In other words, this approach would whet the appetite of the early majority for Web 3.0 and leave them wanting more. And so, as time goes on and more adoption occurs, DApps will incorporate more Web 3.0 and less Web 2.0 functionality, before finally reaching full Web 3.0. In the past, hybrid solutions were not possible; that is, one could not experience the magic of a mobile phone (it is magic) without, well, having a mobile phone: The landline system couldn’t expose the user to mobile phone functionality. In crypto, this is different; we have the Web 2.0 world (with its low adoption cost), and we can use this low cost to our advantage while decentralized infrastructures are being built out. After all, the main thing that decentralization enables is trust (well, strictly operating without it). We believe that this can be adopted as a philosophy by the early majority before the technology has caught up to enable it. As an example, let’s go back to Crypto Kitties and apply this philosophy. The in-game rarity of the cats would still be guaranteed by Web 3.0 functionality; however, the sign-up process would incorporate more Web 2.0 functionality, such as allowing mobile users (possibly through an app) and allowing the use of USD on the platform. Such changes would make the Crypto Kitties platform far more accessible to the early majority. We bet you’re saying, “Wait, but Bitcoin couldn’t be quasi-centralized, so this approach is obviously wrong.” Yes, you are right, a quasi-centralized, censorship-resistant digital currency (cash or gold) wouldn’t work. This, however, does not mean that such a quasi-centralized approach is wrong. Rather, it is use-case and sector specific. In fact, if one investigates Bitcoin further, many users interact with it through centralized businesses. For example, users on exchanges like Coinbase or wallets like Jaxx interact with Bitcoin in a quasi-centralized manner. Users do this because the centralized businesses reduce friction for users. The key aspects of Bitcoin (inflation rate, consensus) are decentralized, but many of the user-facing aspects (storage, sale, transfer, etc.) use centralized Web 2.0 functionality. It would, therefore, seem that, even when wealth is at stake, users are comfortable with centralized solutions and are unwilling to overcome the current high adoption cost of true decentralization. Another example is the gaming industry, which we believe is a perfect target market for quasi-centralized DApps to experience a breakout success. Why is gaming primed for this type of breakout? Three main reasons: 1) Gamers, as a whole, are accustomed to high adoption costs of learning and then grinding on a new game. 2) Gamers enjoy trying new ideas and concepts, such as a new scarce currency. 3) Gamers already assign a lot of value to digital goods. The amount of money Fortnite makes on skins is frightening, but it’s also a good indication of the value gamers assign to being able to express themselves digitally. Actually owning the digital asset is the natural progression within many games. An example of a quasi-centralized game is the augmented reality mobile game, Augmentors. Here, players can purchase a package using fiat currency from the in-app store. Each package contains several elements including, but not limited to, creatures, consumables and Emeralds. Databits is the standard crypto-asset and Emeralds is an off-chain asset that is pegged to Databits at a set ratio. But, critically, from the perspective of the early majority, Augmentors is just a normal mobile game. They don’t need to know that it is a crypto-backed game that aims to be the first mobile game to guarantee in-game asset rarity. All they know is that players can train and customize their creature and thus increase its rarity and can legally sell it for real money, outside of the game. The technology behind it disappears for the majority of users. In summary, we believe that the first breakout successes of Web 3.0 will be DApps that harness Web 2.0 to build themselves initially — and that’s okay. Also, we acknowledge that such a hybrid solution will eventually be deemed unacceptable to users in the long term, but a compromise in the short term is ultimately needed in order to achieve long-term success by breaking through to the early majority. Such a quasi-centralized approach and a breakout success will expose the early majority users to the value that can only be offered by Web 3.0 functionality. Nudging us closer to a future Web 3.0 world. Disclosure: This is a guest post by James Kilroe and Seamus Hennessy of Newtown Partners. Newtown Partners is an investor in Augmentors and holds Databits. 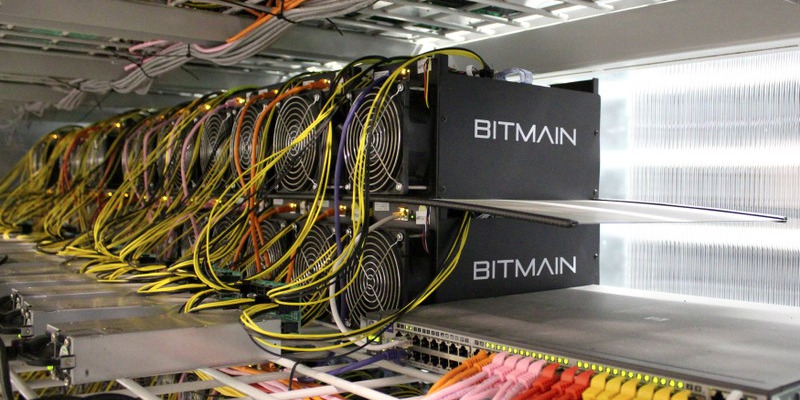 View expressed are theirs alone and do not necessarily reflect those of Bitcoin Magazine or BTC Inc.
Bitmain, the Beijing-based bitcoin mining giant, has officially filed an application, seeking to go public in the Hong Kong Stock Exchange (HKEX). Cryptocurrency company Circle is becoming the first issuer of USDC, a new crypto "stablecoin" it helped develop. "Stablecoins" are cryptocurrencies pegged to real-world assets to give them price stability. USDC is pegged to the dollar. USDC is one of a number of stablecoins that have been created recently. There are now over 50 projects building stablecoins. Circle, the crypto company backed by Goldman Sachs, on Wednesday became the first official issuer of a new cryptocurrency pegged to the dollar. Circle will allow people to "tokenize" dollars by depositing them through an online gateway. Depositors will be given USDC — US dollar coins — in exchange. The goal is to create a digital currency that has the price stability and confidence of the dollar but can "move at the speed of crypto," Circle CEO Jeremy Allaire told Business Insider. USDC is a new cryptocurrency developed by Centre.io, a startup funded and spun out of Circle. USDC is open source and Circle will follow the standards developed by Centre.io. USDC is one of a number of so-called "stablecoins" — cryptos pegged to a currency or asset — that have sprung up in the last few years. A report on the stablecoin market also released on Wednesday by crypto wallet provider Blockchain said there are now over 50 projects in development. Around 20 have launched and have a market value of around $3 billion. Perhaps the most high-profile recent project is Gemini dollar, backed by the Winklevoss twins. "We’ve had a bit of a Cambrian explosion over the last 12-18 months," Garrick Hileman, the report's author, told Business Insider. Allaire told BI by phone this week: "So much of the promise of blockchain infrastructure really requires that there is a fiat token model. "Everything from tokenized debt and lending, to securities and investment contracts, to tokenized property — all of these things that are so powerful. If you don’t have the ability to denominate and collateralize transactions in fiat then it makes the use cases for those much more difficult. It’s really a fundamental building block for all of the excitement that exists around crypto." Hileman said: "If you’re lending in a volatile cryptocurrency like bitcoin you’re really putting yourself in a very vulnerable position. "For savings, for lending, for payments — and these are categories worth trillions of dollars — stablecoins could make some real headway where bitcoin has struggled to gain a significant foothold." 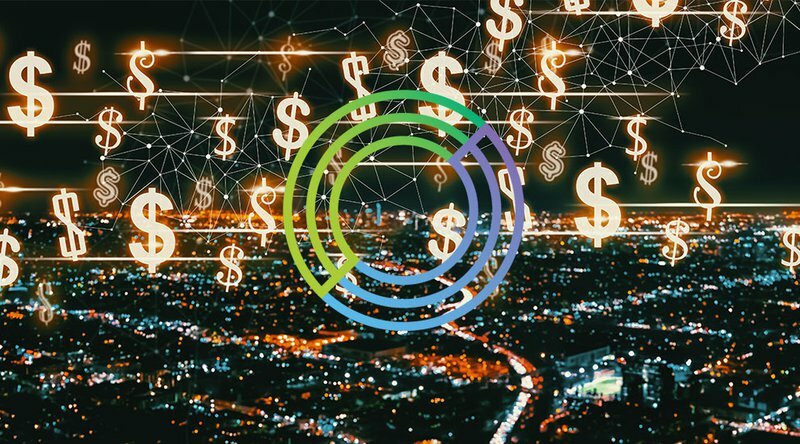 Circle, which operates a range of crypto services, has raised over $200 million from backers including Goldman Sachs and IDG Capital. 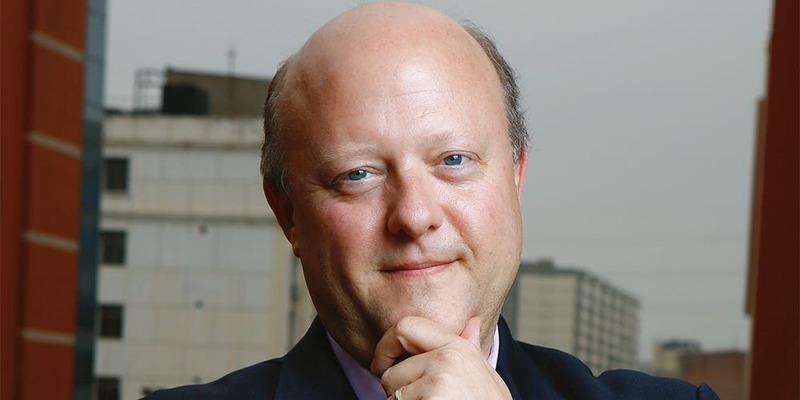 The Boston-based startup isn't investing any of its own money in printing USDC but Allaire said he expects to see "very significant demand" from third parties. 30 industry partners have agreed to support USDC, Circle said in a blog post on Wednesday. They include crypto exchanges such as OKCoin and CoinEx, crypto lending startups such as BlockFi and MoneyToken, and wallets such as Coinbase. Allaire also pointed to the success of Tether as evidence for stablecoin demand in the market. Tether is a stablecoin developed by a company closely associated with major crypto exchange Bitfinex. It is pegged to the dollar and has become a key mechanism for offering dollar liquidity to customers of crypto exchanges worldwide. Blockchain's report on Wednesday said Tether currently represents 98% of all stablecoin trading value and 93% of all market value. "There already exists a dollar-backed stablecoin in the market that is one of the highest liquidity crypto assets in the world, which is Tether," Allaire said. "It has a daily trading velocity of around $3 billion. This is already something that’s critical." However, Tether has faced repeated criticism of the auditing of its dollar reserves, as well as claims of manipulation. Allaire called Tether "problematic" and said: "From an industry perspective, there’s an enormous amount of interest in a trustworthy stablecoin that the ecosystem can use." Circle acquired Poloniex, a top 30 crypto exchange globally, earlier this year. Poloniex uses Tether to offer dollar exposure to customers. Allaire said he expected the platform to transition to only using USDC for this function in future. "Obviously we want to see an orderly transition in the market," Allaire said, declining to give a timeframe for the transition. "The starting use case it people who are effectively using fiat stable coins as a kind of mechanism in the crypto capital markets," Allaire said of USDC. "But I think the next layer, and so much of what we’re excited about, is how this becomes part of the broader market infrastructure that’s needed to rebuild the financial system on top of crypto, which is what so many of us are here for. We genuinely see that we can rebuild the global economic system on top of this infrastructure. "Really the opportunity is to move from paper-based, English language contracts to codified contracts that allow us to represent all forms of assets. As we like to say, the tokenization of everything." Centre.io requires USDC issuers meet certain compliance standards, aiming to ensure trust in the system. As part of this, Circle will work with four banking partners who will hold the dollar reserves customers deposit. These reserves will be audited monthly by Grant Thornton to make sure all USDC is backed one-to-one by dollars. Allaire said Circle is only naming one of its banking partners for now, US Bancorp Asset Management. Bitcoin price volatility, as indicated by Bollinger band width, has hit the lowest level since December 2016. A joint venture between SBI Holdings and Ripple has moved a step closer to launching its blockchain-based payments app for consumers.